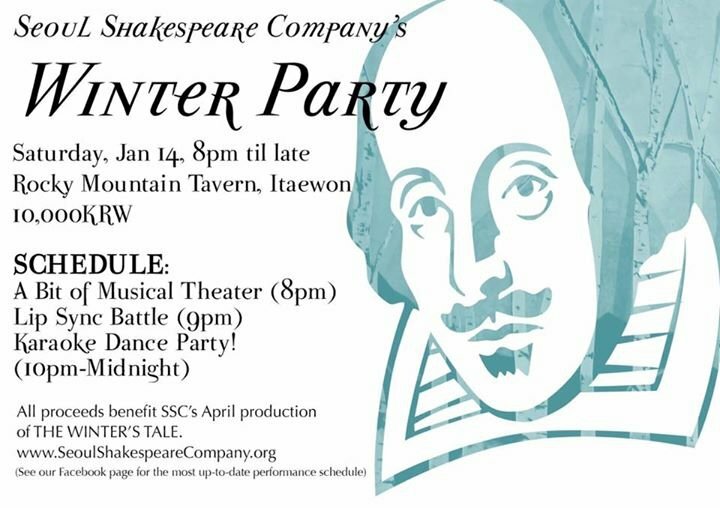 Seoul Shakespeare Company’s WINTER PARTY is approaching! Join us for a fun night of musical theater, lip syncing, and karaoke to help us raise money for our spring production of The Winter's Tale! 10,000 won at the door. We have spots open for people to sing musical theater songs and/or to do the lip sync battle. Email info@seoulshakespeare.com if interested! See event details above for more information.